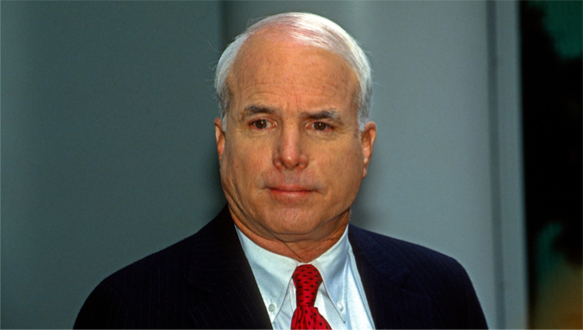 Senator John McCain’s former campaign manager, Rick Davis, read a farewell statement on Monday in Phoenix on behalf of Mr. McCain, the Arizona lawmaker and war hero, who died on Saturday at the age of 81. Thank you for the privilege of serving you and for the rewarding life that service in uniform and public office has allowed me to lead. I have tried to serve our country honorably. I have made mistakes, but I hope my love for America will be weighed favorably against them. I have often observed that I am the luckiest person on earth. I feel that way even now as I prepare for the end of my life. I have loved my life, all of it. I have had experiences, adventures, and friendships enough for ten satisfying lives, and I am so thankful. Like most people, I have regrets. But I would not trade a day of my life, in good or bad times, for the best day of anyone else’s.